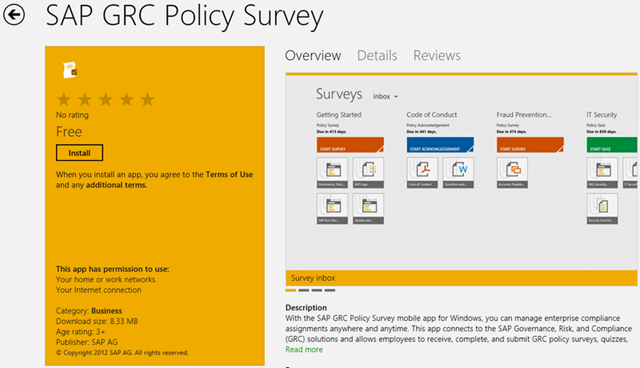 With the SAP GRC Policy Survey mobile app for Windows, you can manage enterprise compliance assignments anywhere and anytime. 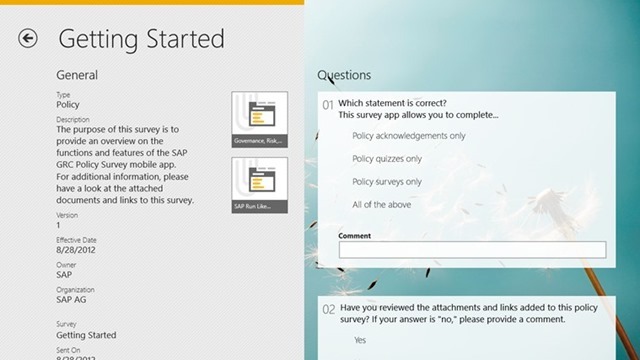 This app connects to the SAP Governance, Risk, and Compliance (GRC) solutions and allows employees to receive, complete, and submit GRC policy surveys, quizzes, and acknowledgements right from their Windows tablet device. 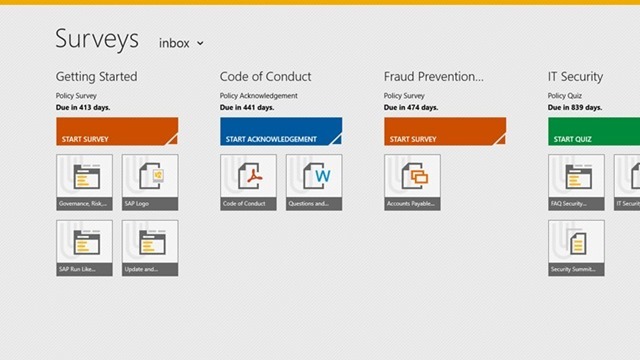 Note: To use SAP GRC Policy Survey with your business data, you must be a user of SAP solutions for governance, risk, and compliance, with mobile services enabled by your IT department. You can try the app first using sample data. Of course this is an Enterprise App, which means you’ll have to have access to SAP Infra Servers to really use this app, but they’ve provided a test data environment to test it if your are just curious to take app for a spin. You can download the app now from the Store via the Source link below. This is really a pretty impressive apps.In Finland now a day they are many business that still making a survey through online which some of the are successfully done it.I am really glad that i read this article because of the fact that i am amaze.